Make a complex but delicious recipe at home in a snap using the contact roaster! A take out favorite made easy and in the comfort of your home. Slice steaks with grain into 2 to 3-inch wide pieces, Place meat in large resealable plastic storage bag with soy sauce and corn starch. Mix well. Remove meat from bag and place slices in single layer on a wire rack, place rack or cookie sheet. Refrigerate ½ hour until very cold. Preheat Contact Roaster. 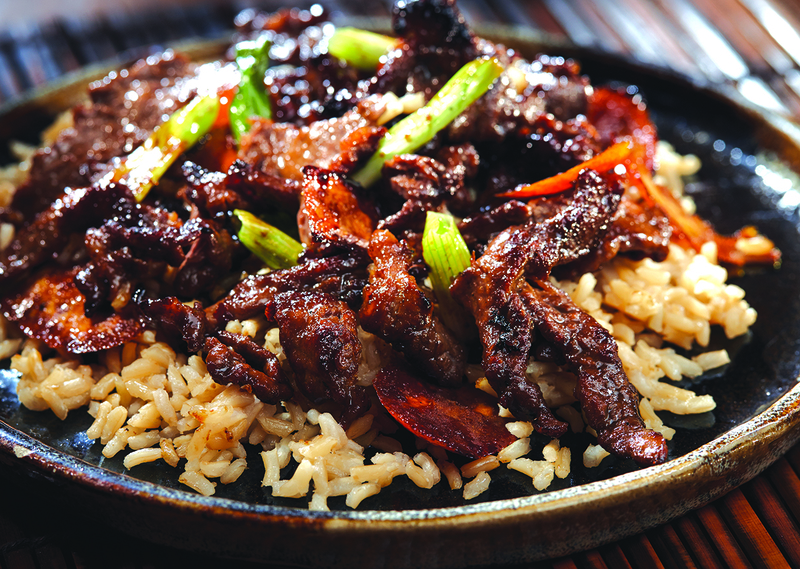 Place half of beef, orange peels and scallions in directly on the surface of the roaster. Set timer and cook 10 minutes. Repeat with remaining beef, orange peels and scallions. Mix remaining ingredients in baking pan. Add meat mixture; stir to combine. Set timer and cook 10 minutes or until hot and sauce is thick and sticks to beef. Serve over rice. Tip: Wipe out roaster using a damp paper towel held with tongs.